The GYLON® Style 3510 is a high performance, barium sulfate filled PTFE gasketing material. 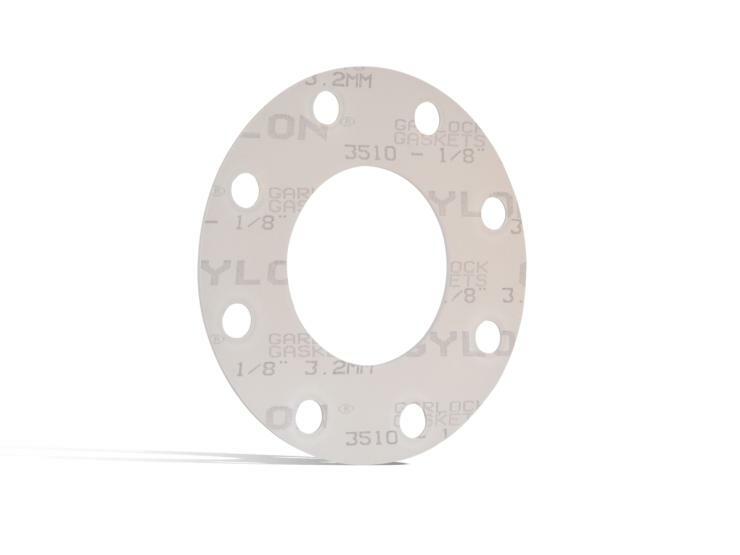 GYLON® 3510 PTFE gasket is designed for use in strong caustics and toxic chemicals, such as chlorine, ammonia, and phosgene, where initiating and maintaining an extremely tight seal is critical. In addition, the GYLON® 3510 provides exceptional performance in monomer services.